We recognize that our services are supplemental to your care of patients. Our strength is managing potential polypharmacy complications. Our assessments help you and your patients avoid or correct expensive and harmful effects that all too common. 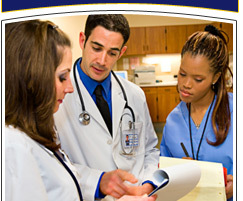 We provide Medication Therapy Management (MTM) to any patient. Insurers, including Medicare, place strick limits on this service. We do not. We can coordinate medications between physicians making that task easier for all. We enjoy collaboration. Including formal collaborative agreements, which can be designed and written to accommodate your practice. MTM improves outcomes. A clinical pharmacist's participation could even decrease the cost of liability insurance.